Today, many seniors are able to live comfortably and productively in their home thanks to the professionally operated and licensed network of home care and community facilities and services. If you plan to stay at home but know you will need home care services to help with day-to-day personal care, you may want to look at your options through home care agencies, the various community service agencies that are available and adult day care service providers. When health dictates, home care agencies can provide healthcare at home as well as part-time, temporary specialized or skilled nursing care. As part of their personal care services, many home care agencies will offer light housekeeping assistance. entrance and exit mobility features. Home healthcare and other around-the-house services that help relieve responsibilities are much more popular--and therefore more plentiful--today than in the past. Home care is readily available to small towns and rural communities because of the many licensed and Medicare- and/or Medicaid-certified home healthcare service agencies that serve multi-county areas. While most privately owned home care services provide nursing care on a 24-hour, 7-day basis, you may want to contact them for general services during regular business hours. If home care services are your first consideration, you may want to contact your local Area Agency on Aging, the Virginia Department for the Aging or other state agencies such as the Virginia Department of Social Services. All of these state service groups work together for seniors and the disabled to assist them in locating nearby licensed home care services. If you have Medicaid or Medicare, you should know about a program called PACE. The Program of All-Inclusive Care for the Elderly (PACE) was established to assist qualifying adults age 55 and over to remain living in their homes. The PACE program allows individuals to remain in familiar surroundings, maintain self-sufficiency and preserve the highest level of physical, social and cognitive function and independence. The goal of PACE is to keep the individual in their homes and communities and provide the entire continuum of medical and supportive services as needed. NOTE: The Long-Term Care Provider Directory, available either from VHI or through the Virginia Department for the Aging, reports the Medicare certification as well as contact information for each home care agency listed at the time of publication. medical or home healthcare services that do require skilled or medically-trained personnel. Most home care services require some training. And, some of the services provided require more training than others. 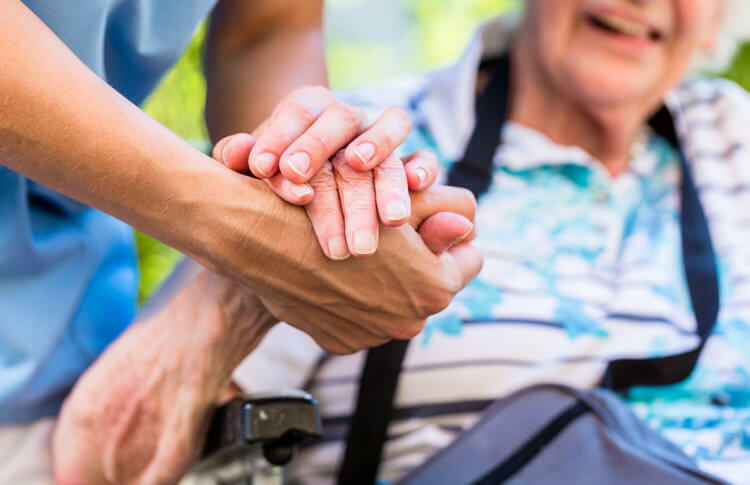 Many times, unless otherwise stipulated under the law or by a care manager, some services can be fulfilled routinely by family or friend caregivers; however, home care professional staff may also be needed periodically. For example, a family member may be able to administer daily temperature or blood pressure checks. A trained or skilled home care worker may be required to make routine verification checks and reports to medical personnel and/or a care manager or coordinator. It is important to understand the differences in care services because it can affect the quality and cost of care you receive. Supportive services provided in your home can include personal care needs such as bathing and dressing as well as light housekeeping assistance. These services can be scheduled routinely, on an as-needed basis, or specifically as primary caregiver relief. Even though your physician and assessment team may direct your care manager or coordinator to include these services, most are not medical in the sense that they must be administered by a registered nurse (RN) or physician. For example, because having someone to help you bathe and dress in the morning may be physically necessary, it may also seem to be a medical necessity. However, this type of activity is not strictly medical because it does not require a physician or a skilled nurse to perform the service. Therefore, the home care services that are requested as in-home supportive services are usually provided by home care workers or certified nurse aides (CNAs), personal care workers or companions. When finances allow or the need is justified, live-ins are also an option. Depending on the level of care required, live-ins can be obtained at various levels of training-- companions or trained aides, CNAs, LPNs or RNs. Routine or daily health needs--for example, some oral drug administration, blood pressure or insulin checks or urine sampling--may also be carried out by a trained aide, a CNA or visiting nurse who is qualified and approved to perform the service. So, though all of these services may be recommended by your assessment and included in your care plan, they are not always considered a medical expense; therefore, some services may not be included as covered expenses under some healthcare plans. Under some special plans, in-home assistance, when ordered by a physician and when meeting the insurer's contractual requirements, may be part of the coverage--some long-term care insurance programs for example. When and if covered, the services may only be covered for a short period of time. when the usual caregiver is not trained or physically able (lifting a patient from bed to chair) to provide the necessary care. in getting to and from physician or other medically necessary visits. It may also include grocery shopping and meal preparation as well as light housekeeping needs such as watering the plants, straightening the house, making the bed and light dusting. These are the services typically recognized by healthcare providers and insurers as constituting health or medical care. Medically-related home care services may be provided by RNs and by specially trained and/or approved LPNs or aides. The home care services that require a registered nurse or other skilled and licensed professional--for example, rehabilitation services--are considered skilled care services. To be covered by typical healthcare plans, skilled nursing and rehabilitation services require a physician's order. Most licensed and/or Medicare and/or Medicaid-certified agencies will provide some or all of the skilled nursing services listed below. Some home care agencies also provide services for those who need medical in-home technology-dependent pediatric care. Working from your assessment, your care manager or coordinator may include community-based services along with your home care services. If you or your family has the ability to transport you to group socialization activities, to physician appointments and to take you out for some meals, you may not need community-based care services. However, for those who do not have the ability to get out-and-about on their own or with family and friends, your care plan can be designed to include community-based services. When your care includes both home and community services, your type of care will be referred to as home- and community-based care--HCBC--services. recreation either at a day care center or through a church, synagogue or community-sponsored senior center. provide necessary transportation services to physician appointments and to therapies that cannot be performed at home. Many communities, local Virginia Area Agencies on Aging, service groups and community hospitals provide these special services. Congregate Meals--Special mealtimes are often held by community hospitals, senior centers and at other congregate nutrition sites at various locations. These meals are served to those who wish to participate in a group setting. They provide a special service in addition to nutrition; they provide recipients with the opportunity for socialization and recreation necessary to emotional health. Home-Delivered Meals--Started in 1943, Meals on Wheels provides another way to enjoy a balanced, nutritional meal at home as well as a brief visit from someone who cares. Usually supported by a combination of private and public funds, this program provides a daily meal to its recipients. Other organizations may provide home-delivered meals and are available in most localities through federal funding. Payment for most meal delivery services varies from fixed fees to no charge depending on the sources of revenue used to provide the service and the income levels of the recipients. Transportation--Community care can include services that provide group or individual transportation to physicians and other medical services, to senior centers, to locations providing congregate meals and, through some providers, to shopping areas. These services can be provided through various human services agencies. Elderly individuals may contact their local Area Agency on Aging or a local office of the Department of Social Services. Persons who are physically challenged may call the Department of Rehabilitative Services. Another source of transportation is through specialized, privately operated transportation companies located in most urban and suburban areas. These health-specific transporters provide wheelchair-accessible transportation to local destinations. Realizing how difficult it is for the elderly and disabled to navigate public bus transportation, many churches, synagogues and civic organizations have developed volunteer transportation groups. These groups are comprised of those willing to donate driving hours and their vehicle to transport the elderly and others not able to drive to medically important locations. Some organizations or groups also provide group transportation on special days to social events at the church, senior centers or other locations. Many adult day care centers also provide transportation to their facility as well as to planned recreational activities. Recreation--Another important area in which community care benefits the aging and disabled is in recreational activities. Socialization is extremely important to those who spend a lot of time in their home. Congregate meals, educational classes, health and psychological services as well as purely recreational events--movies, dances, crafts groups--help add balance and enjoyment to limited lifestyles. Again, local churches, synagogues, some hospitals and community service organizations play a vital role in providing sources for these outlets. Other Services--Community-based organizations, usually staffed by volunteers, may provide legal, financial and tax related services as well as counseling, rehabilitative and occupational assistance. These services may be free or may require a fee based on an ability to pay--a sliding scale fee system. Adult foster care differs from other residential care settings along two characteristics: the size of the home (four or fewer residents) and the family nature of the care setting. The value of family-based care is that it allows older persons to remain in the community with a consistent and predictable source of support. Generally, adult family foster care participants are placed directly by the local department of social services or referred through the local Community Services Board. The Department of Social Services carries the responsibility for approval, oversight and payment of providers. Virginia does not use formalized standards to certify or approve adult foster care homes. Instead, the state opts for a system of guidelines with latitude for local interpretation and implementation.